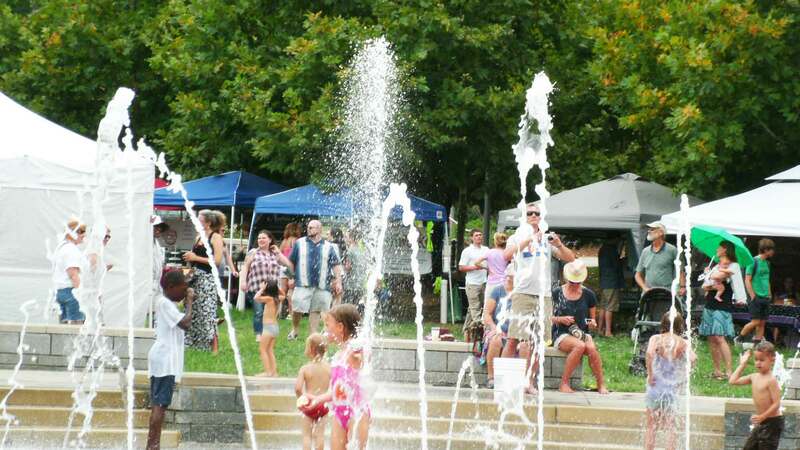 Splashville fun in Pack Square Park! Visitors to Asheville can enjoy water-fall hikes up on the Blue Ridge Parkway, tour the Biltmore House and Gardens, enjoy local artists' shops at Asheville River Arts District and more! There's plenty to do in our awesome mountain city! More Asheville Connections: Organicfest Directions, Places to Stay and Things to Do will be listed soon. Please check back!